When it comes to building new in-ground pools, Levco Pools takes a different approach from many other pool companies out there. The first thing that sets Levco apart from many of its competitors is the fact that we invest time and energy prior to an initial appointment to establish if a potential customer can definitely get a pool installed in their backyard. 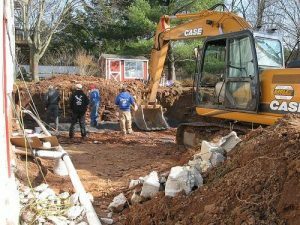 This involves Levco Pools and the potential customer working together to gather all the necessary information from the township pertaining to the ordinances for in-ground pool installation. This information, used in conjunction with the customer’s land survey, provides Levco with all the necessary information to have a meaningful and factual conversation with our potential customers. Additionally, we can then speak knowledgeably about exactly where it can be placed to ensure that it does not violate any town ordinances. In order to ascertain this information our construction manager Peter Lindia “armed” with a customer’s survey and the specific town ordinances, analyses all the information and is able to deduce what the customer can and cannot do and where they can do it. Start of a big project is always tough. But it is very important to get it right. In some instances a customer is not able to have a pool installed. This is usually as a result of having insufficient impervious lot coverage available for them to build a pool and surrounding decking etc. In the event that this happens, most towns have a variance process that allows the resident to go through a process of asking the town for permission to deviate from the published ordinances. As long as the resident is not asking the town to deviate too much from its published ordinances, the town usually grants this variance allowing the home owner to install a pool in their backyard. While it is true that getting information from the township and also a copy of the property’s survey does require some effort from both the homeowner and from Levco Pools, we believe it is essential and time well spent. When a Levco Pools representative comes to your home to provide a home owner with consultation, both Levco Pools and the potential customer will be “armed” with all the required information necessary to have a worthwhile and informative meeting. Ambiguity can jeopardize the entire project. More details are shared and discussed – the better. Ambiguity as to what you cannot do in your back yard from an ordinance perspective is not a good thing. We have found that the vast majority of pool companies do not operate in this manner. Instead, they appear to be solely focused on getting an appointment with a customer and getting a deposit, many times with little interest in understanding if in fact the homeowner can get a pool installed and if they can, where it can be located. 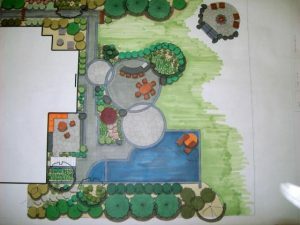 We have heard from many customers that after meeting with a pool company, signing a contract and leaving a deposit for a new pool installation, they later find out that due to the town ordinances they cannot get a pool installed or they cannot have it installed in the location or size etc they were sold on. Clearly when this happens you have a very unhappy customer, especially when this is very avoidable with just a little work done “upfront”. Levco’s new pool process eliminates this potential eventuality and provides a platform for a successful new business relationship.